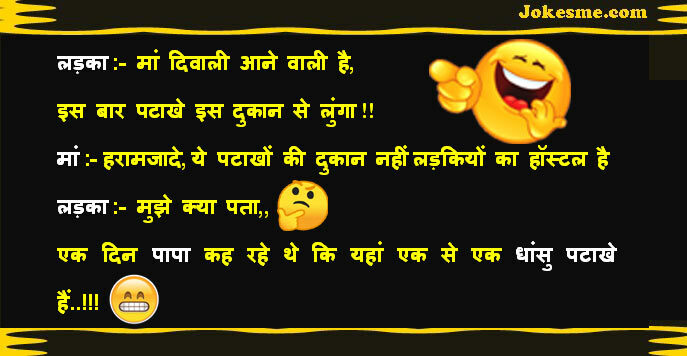 New and Latest Father son hindi jokes chutkule, New Maa Beta Funny Jokes in Hindi, Best Collection of Family funny jokes in Hindi with Pictures & Wallpapers to share with your friends on Facebook, Also share as jokes sms on Whatsapp. तुम तो पढ़ने में बड़े होशियार हो फिर ट्यूशन वाले को रखने की क्या जरूरत है? Pappu की दादी मर गई! एक आदमी बोला: दादी मुझे भी साथ ले जाते! दो चार और बोले: दादी हमे भी साथ ले जाते!